What is Badam Satti App? 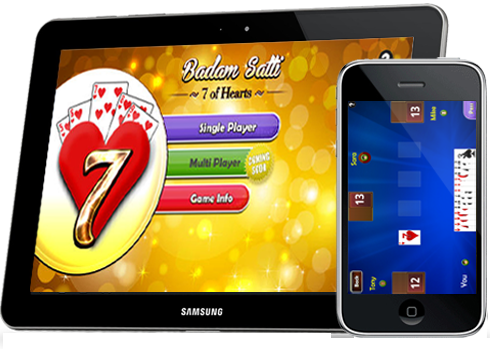 Badam Satti popularly known as "Satti Center" or "7 of hearts", is a Card Game, that originated from the Russian Game "Durak". 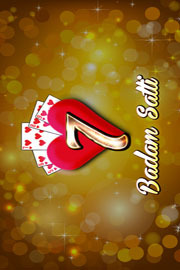 Badam Satti App is the Mobile version of this famous card game. 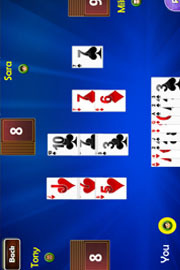 The game can be played with multiple players, but at present it is released for Single player, wherein your other three opponents is the device itself. 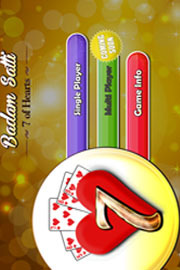 Badam Satti can be played in offline mode. 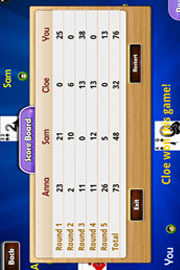 The game starts with the player having 7 of hearts. 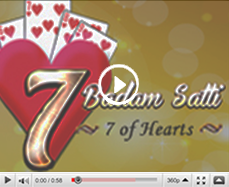 Next player would play either 8 of hearts or 6 of hearts or 7 of any other suit (Spade Diamond or Club), if the player does not have any of these cards, he would be able to pass the turn.